There are several events that most people experience at some point in life that will stand out in your memory for the rest of your life. Graduating from school, getting your first car, or buying your first house are all examples. Another of these momentous occasions is finding someone you love and asking them to marry you. While people generally go about proposing in the same way, the ring you choose to offer your lover presents an opportunity to get creative. Every relationship is unique, so selecting a unique engagement ring is a great way to honor that. Your partner may very well be wearing that ring for the rest of his or her life, so it’s important to keep in mind their personal tastes and preferences. Fortunately, there are an endless number of ways to create unique or unusual engagement rings. One of the first things you should consider in designing or selecting any sort of personalized jewelry for that special somebody is the material or type of metal it will be made of. Historically, people default to a yellow gold engagement ring, but variations on the specific type of gold used have become more common in recent years. Rose gold as the base material has been trending recently, and you will also frequently come across white gold rings. To match the intended wearer’s taste, people will often choose platinum or sterling silver to achieve a different color band. These two metals are versatile and can even be used to make black engagement rings. Varying the material is easy to do, so this tactic is common even amongst relatively traditional engagement rings. You’ll be able to find pieces made of these metals at essentially all jewelry stores. Being in the west as we are, turquoise jewelry is easier to find than in other parts of the country. Most Utah jewelers have a decent selection of it, and if it fits with your partner’s taste, turquoise could make a great band material to set the ring apart! 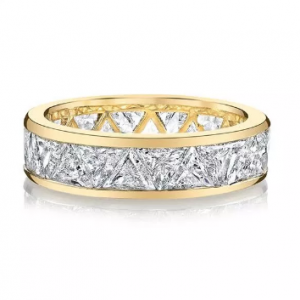 The ring can be further tailored to your partner’s personal style through the band’s design. You can customize the band by etching patterns into it. Another option is to alter the band’s shape itself. Some wrap around the entire finger but less elaborate options do exist. Two more practical examples are square engagement rings or teardrop engagement rings. Nonstandard band shapes also allow atypical gemstone placement. The type and placement of the gemstone is the other key facet of an engagement ring that you can get creative with. Diamonds have been the go-to gemstone since the midcentury. Despite the growing popularity of ruby, sapphire, and emerald rings, the vast majority of engagement rings still feature a diamond. 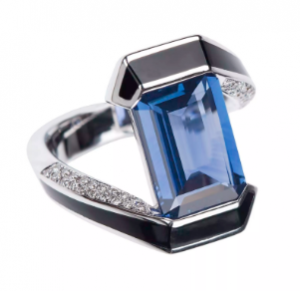 You can accompany your gem of choice with side stones. Side stones sit alongside the main gem as ornamentation. They liven up the ring and can add a splash of color if they are a different stone from the main gem. 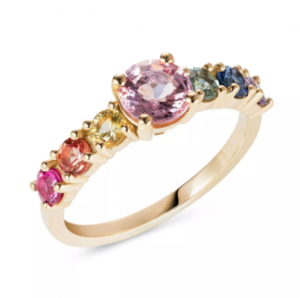 Using one of each partner’s birthstone is a thoughtful way of making the engagement ring more personal. Finally, stones can be set into the band itself to avoid bulkiness. With so many possibilities, you may very well be curious about what each of these gemstone configurations actually look like. Fortunately, SLC jewelry is generally quite progressive and there many jewelers who consistently stock alternative engagement rings. 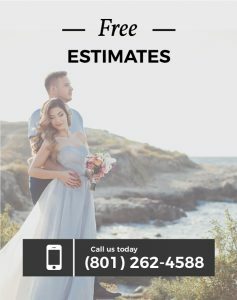 Additionally, handcrafted jewelry is more popular here than in other parts of the country, and Utah is home to many top engagement ring designers. I hope that this blog post has given you some ideas about how to create the perfect engagement ring. There is no one in the world quite like your partner, and you can show them how you feel with the thought and care you put into this process. After reading this blog post, you now have the tools needed to find a ring that is as special as your special someone! For a quick peek at some creative ring ideas, check out these articles.